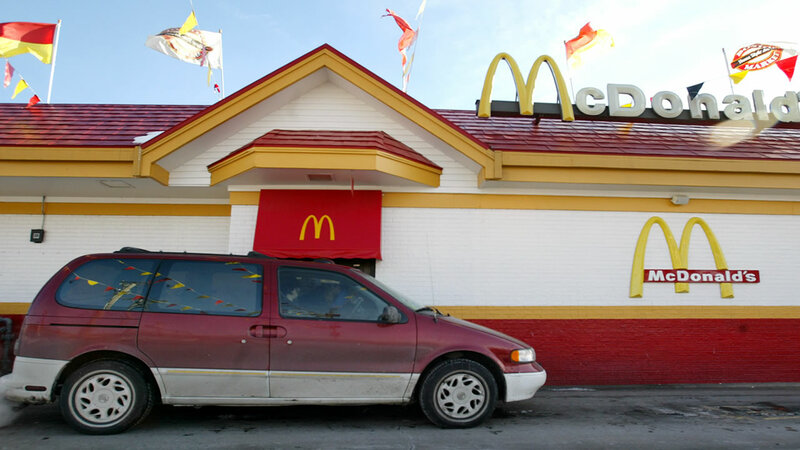 EAST PALESTINE, Ohio -- A craving for a McDonald's cheeseburger apparently prompted an 8-year-old Ohio boy to take his 4-year-old sister for a ride in his dad's van, which he learned to drive on the internet. East Palestine police Officer Jacob Koehler tells WJW-TV in Cleveland the father went to bed Sunday and the mother fell asleep on the couch with the kids. Koehler says witnesses saw the boy driving and called police in the city, about 90 miles (145 kilometers) southeast of Cleveland. He says the boy drove about a mile to the restaurant, through intersections, and over railroad tracks, without mishap. Witnesses say the boy appeared to obey traffic laws. Koehler says the boy told him he learned to drive by watching YouTube videos. Click here for more stories, photos, and video on McDonald's.